Warm/inviting, meticulously maintained in impeccable condition! Located in highly desired Mansion Pointe, this incredible 2 story home features a Main Floor Master Suite with private 5-piece bath & walk-in closet, has 4 bedrooms & 4 baths. The 2 story entry, stunning sitting room with vaulted ceilings and a separate dining room will make you feel at home. Open Gourmet Kitchen with granite, island, bar stool area, a breakfast nook and all appliances included. Hdwd floors in most of main floor. The naturally lit great room includes a cozy gas fireplace & two-story windows with views of the beautiful backyard with water feature. 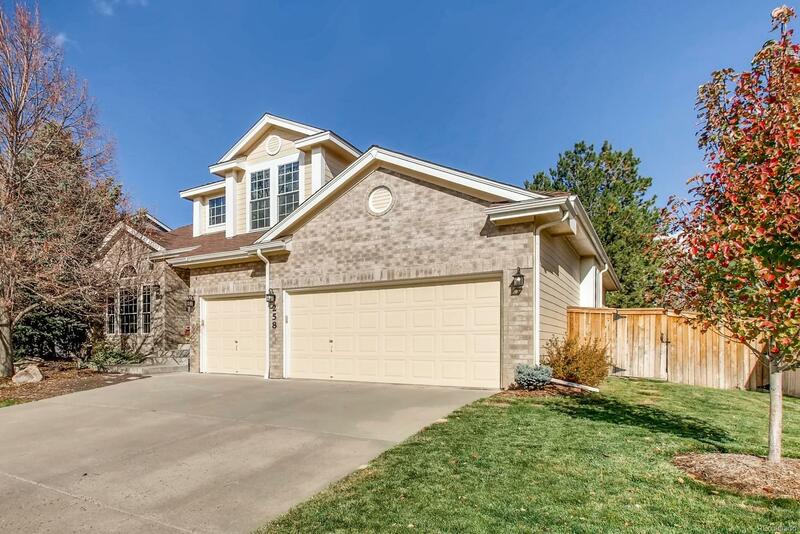 Enjoy the professionally finished paver and brick patio for entertaining. The laundry room right off the three-car garage. Upstairs three large bedrooms and loft. Enormous basement has a rec room, a work shop permitted with 220V & separate electrical panel, 4th bathroom and a large open unfinished area ready for another bedroom, media room or whatever your needs.